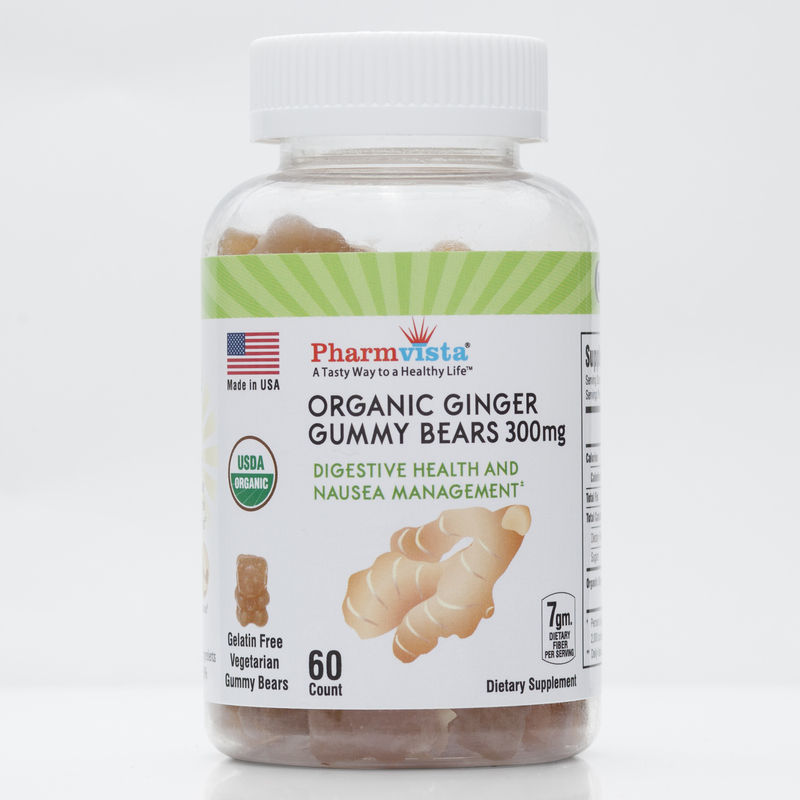 Our Organic Ginger gummies supports digestive health and nausea management. USDA Organic Ginger gummies supports digestive health and nausea management**. 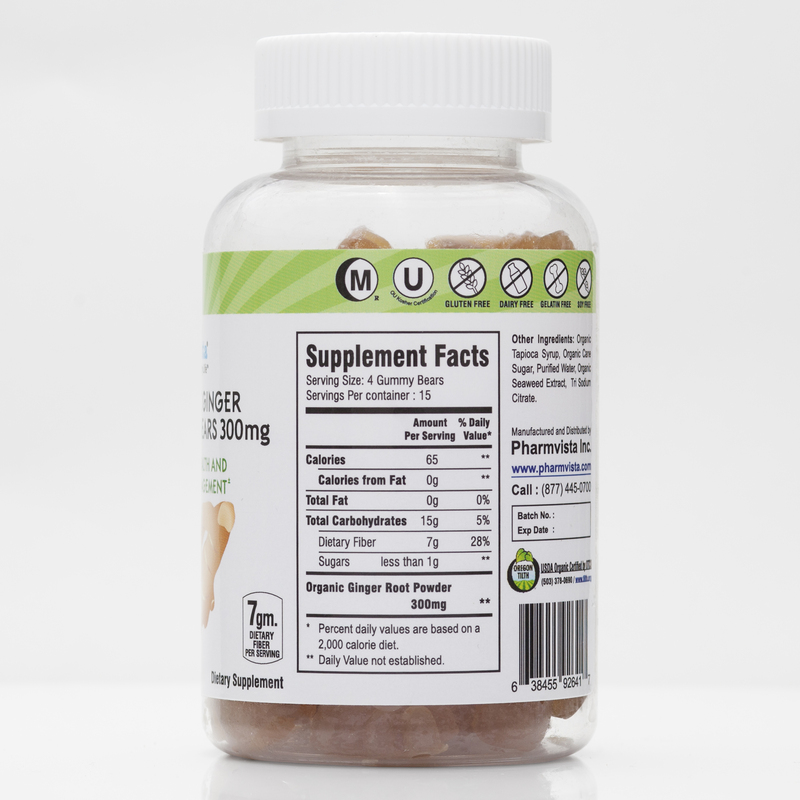 USDA Organic, Kosher and Halal Certified Ginger supplement**. 7gm of dietary fiber per serving*. Gluten Free Supplement made with Non-GMO ingredients*. Gelatin-free, 100% Vegetarian gummy bears made in the USA*.